Below is a list of positions OVF currently needs filled. In addition to the contact information provided in each listing, more details about any of these positions can be obtained by Contacting Us. Starting in 2019, OVF will be required to file non-profit tax returns. We are looking for a member willing to help us with filing either a 990 or 990-EZ. Community service hours will be awarded. 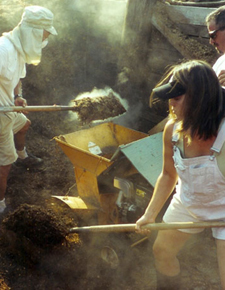 OVF is always looking for dedicated volunteers to help with our composting program. The Composting Group meets every Saturday morning at 9:00 AM at the compost bins. Workcalls generally last no more than 1 hour. Come and help OVF keep our piles going and meet new friends.